Abraham Fishman (1892-1953;Founder), joined his brother Solomon in the United States in 1943 after making his escape via Lisbon and Tangier from his native Poland during World War II. Shortly thereafter he learned the skills of diamond cutting, and gradually began buying rough diamonds and selling them as polished on the floor of the Diamond Dealers Club to wholesalers and local jewelers. The diamond industry was just beginning to revive with the arrival of diamantaires from Belgium and Holland. 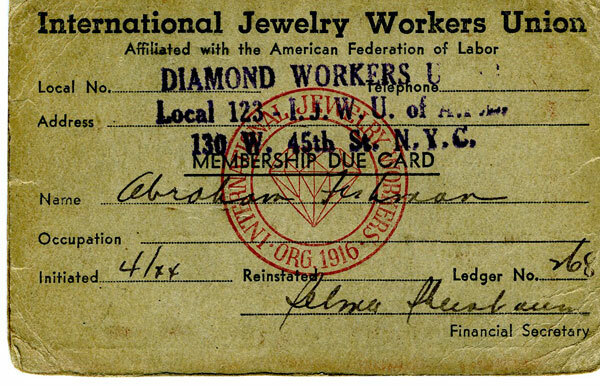 Abraham Fishman joined the International Jewelry Workers Union in 1944. 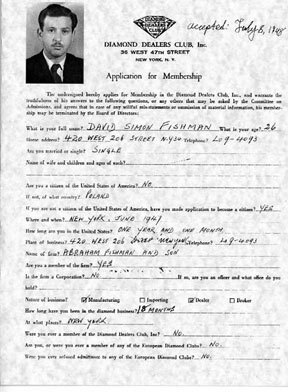 David Fishman (1921-2017) joined his father in 1947 after arriving from England where he served in the British Army. They established A. Fishman & Son and in addition to their loose diamond business began the manufacture of Fine Classic Diamond Jewelry directed primarily towards Retail Jewelers across the United States. A. Fishman & Son became one of the first diamond firms to publish and support their Diamond Jewelry sales with catalogues, which were distributed to 30,000 Jewelers throughout the United States.The latest No.18 is still available to you on request. 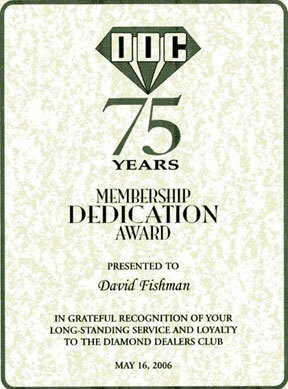 David Fishman was recognized by the Diamond Dealers Club of New York in 2006 for his more than 50 years of membership and contributions to the diamond industry. It is with sadness that I have to share the news that my father, David, of blessed memory, passed away on September 3, 2017. I will miss him and his daily advice. 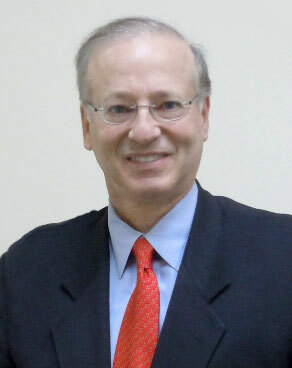 Joshua Fishman (President) joined his father David in 1982 after a career in law, having graduated from the Harvard Law School in 1976. He gained his intrinsic knowledge and appreciation for the beauty and love of diamonds from his father David. Josh literally sat at his father's knee examining thousands of diamonds, learning the ins and outs, long before certificates became the criteria for identifying diamonds. As a "diamantaire" (an experienced diamond dealer) he learned how to invest his own money in diamonds. Josh completed the Diamond Grading Course at the GIA which added to his scientific analysis and expertise and enables him to explain the technical characteristics of every diamond. With the popularity of the internet Josh helped organize and promote internet sales which were at first directed towards chain and retail stores. When the nature of the diamond business like other businesses changed, A. Fishman & Son turned their attention to their private clientele which they have nurtured for over 65 years, and are inviting purchases from the general public as well. We are proud of our track record of satisfied customers, who by giving them the same wholesale prices as we do the Jewelry Trade, plus our personal advice, guidance and service, have built with us warm personal relationships, and have given us their loyalty and many recommendations to their family and friends. See our Customer Testimonials and our Google Reviews. Over three generations, times have changed, methods of operations have changed, the world has gotten smaller and faster. But one thing hasn't changed at A. Fishman & Son - our commitments to integrity and ethics, excellence in customer service, quality in our investment in our diamond inventory and the manufacture of our diamond jewelry and, lastly, but equally as important, our commitment to give you, our customer, the best value for your money. We sincerely hope that after reading this that you too will avail yourself of the benefits we offer and give us the opportunity to count you as one of our satisfied customers.